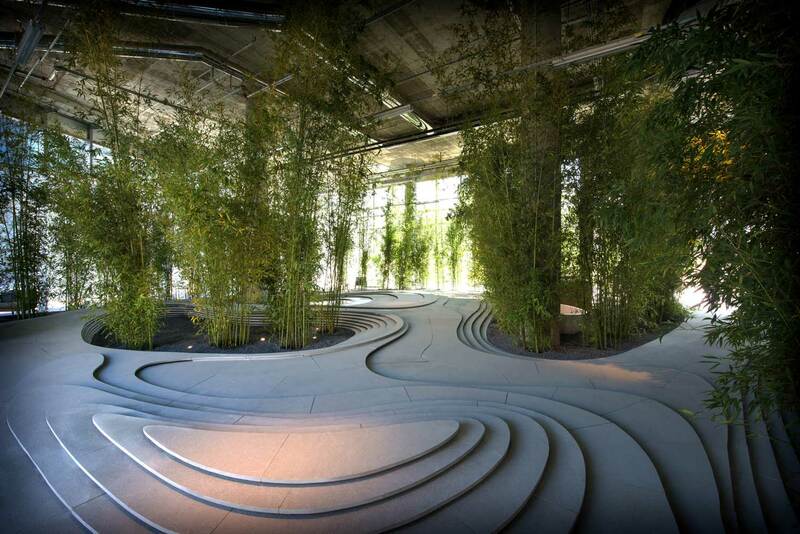 In 2013, Japanese architects Kengo Kuma & Associates created two striking installations using combinations of natural elements — stone, plants, water, bamboo and gravel — to create dreamlike interpretation of a Japanese garden. 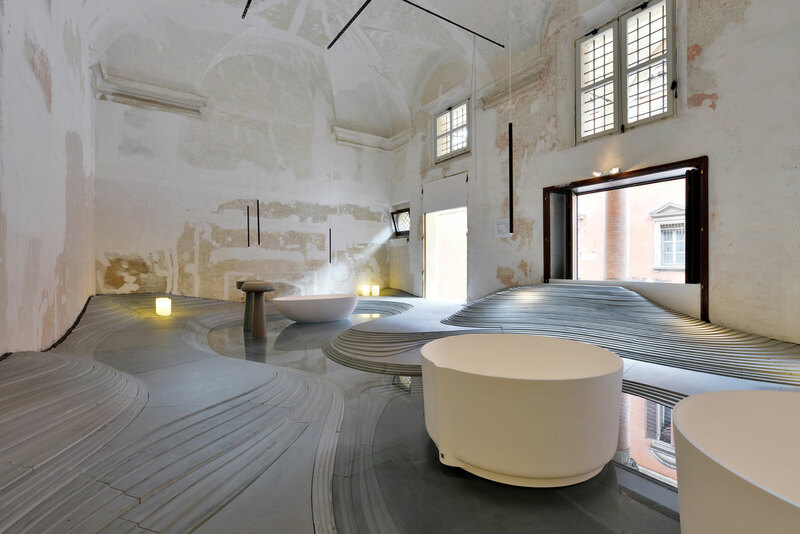 Titled STONESCAPE & NATURESPACE, the installations were undertaken for 2013 Bologna Water Design and 2013 Salone del Mobile respectively. 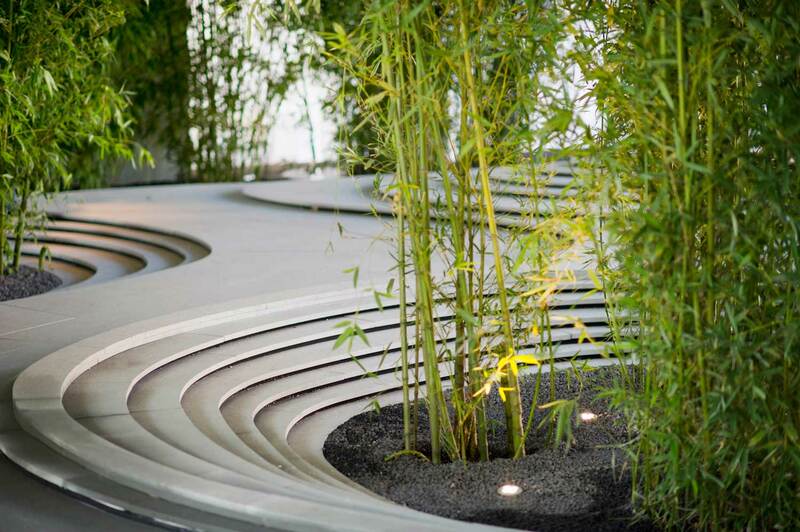 Visitors were invited to experience the elegance, tranquility and wisdom of Zen simplicity evoked by the surrounding space. 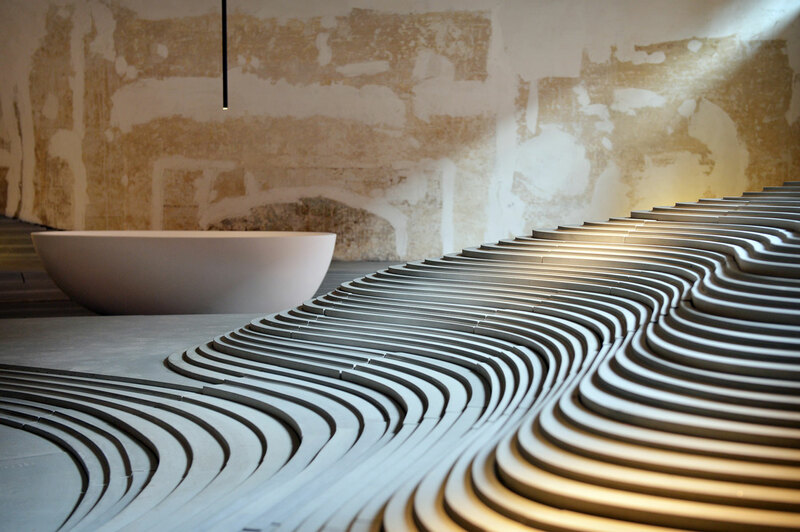 The fable-like set-up was realised in the form of a lytic landscape where natural and artificial elements coexisted in awe-inspiring scenery. 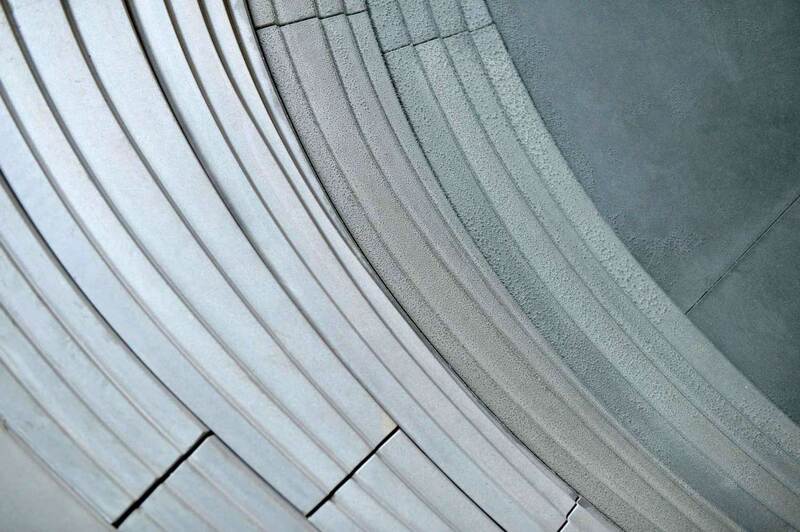 “The clean and pure Pietra Serena stone is used so as to recreate a topography that, as in real landscapes, moulds the shape of water, guides our walking and gives a context to the objects to better admire them,” explain the architects at Kengo Kuma & Associates. 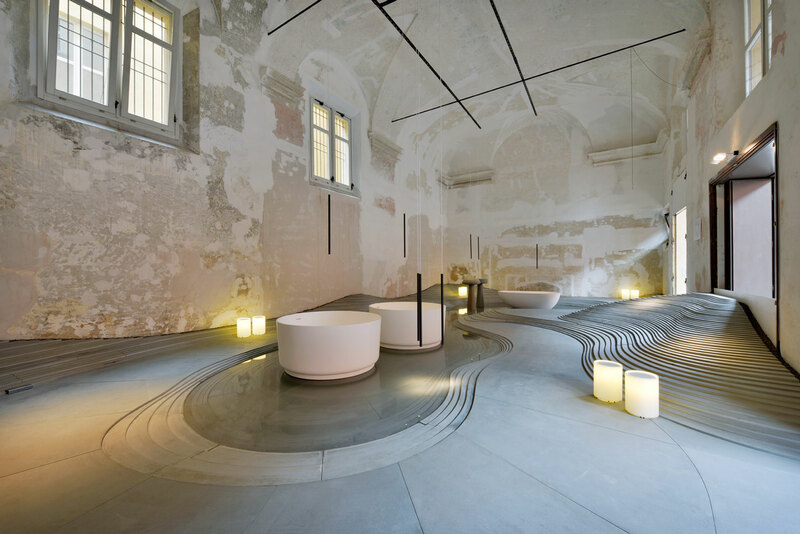 STONESCAPE took place inside the refurbished buildings of the monumental complex of the former Hospital Bastardini. 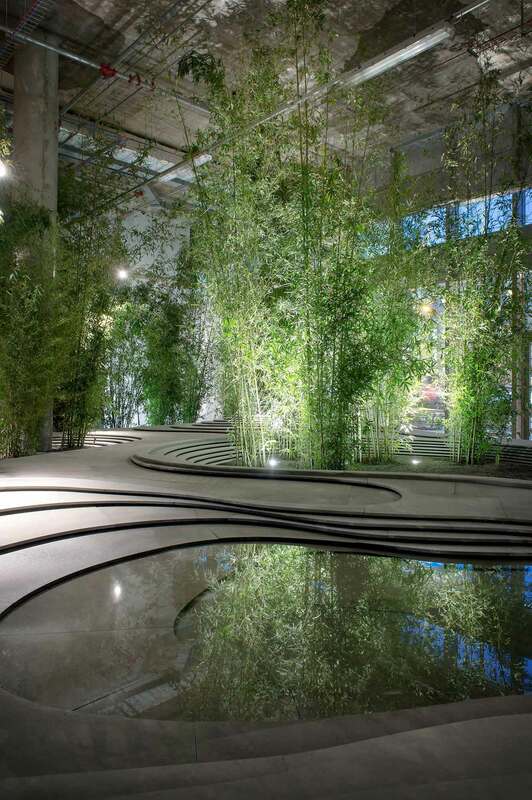 NATURESPACE was located in a new office building in Milan designed by KPF – Kohn Pedersen Fox Architects. 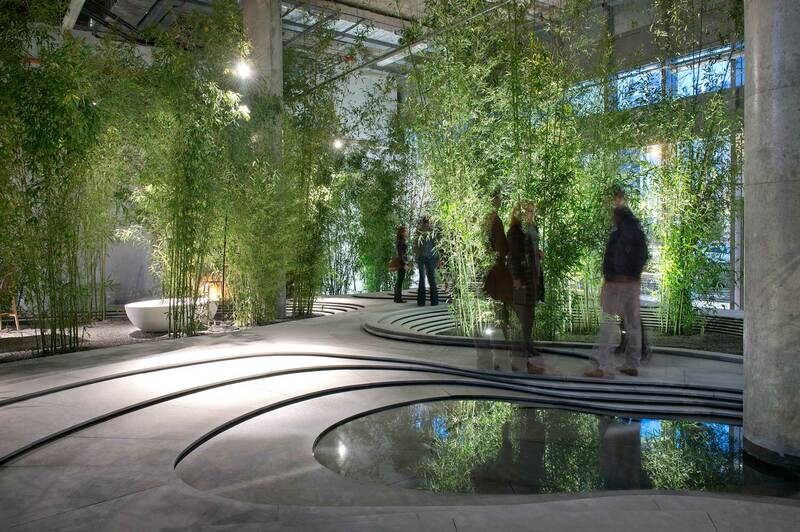 This installation was part of Urban Stories, a series of narratives suspended between design and architecture by three different architects – , and Kengo Kuma – and was realised with the support of Frassinagodiciotto and Il Casone, with Agape, Pratic, Tribù and Vaselli, and lighting design by Davide Groppi. 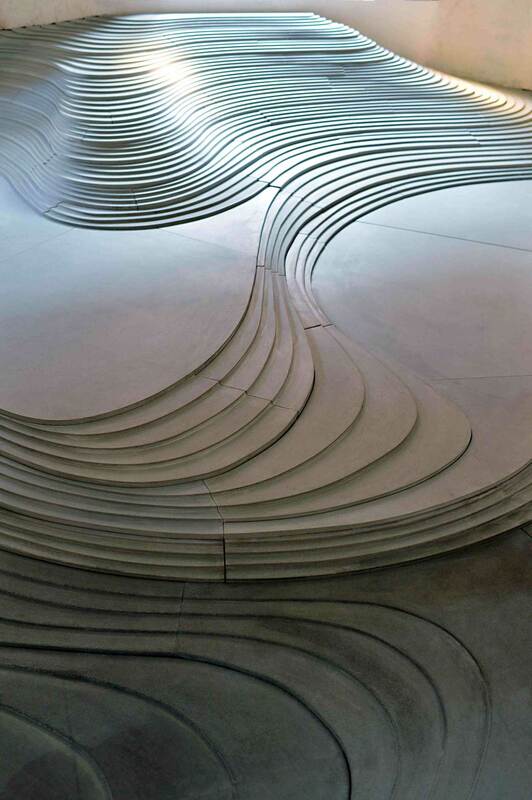 St Hilaire Church by Mathieu Lehanneur | Melle, France. See more projects by Kengo Kuma on Yellowtrace. Naturescape either needs more ‘twilight’ lighting, or a white roof and more of a feeling of daylight. 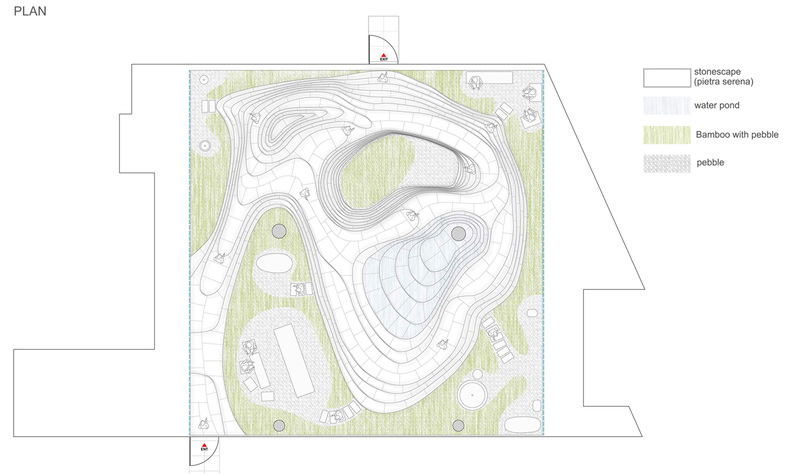 The calm in both of these installations is wonderful. I wonder if there are any fans that would cause the bambo to move ever so slightly. A slight breeze across your cheek says ” I’m outside ” in a wonderful natural way. 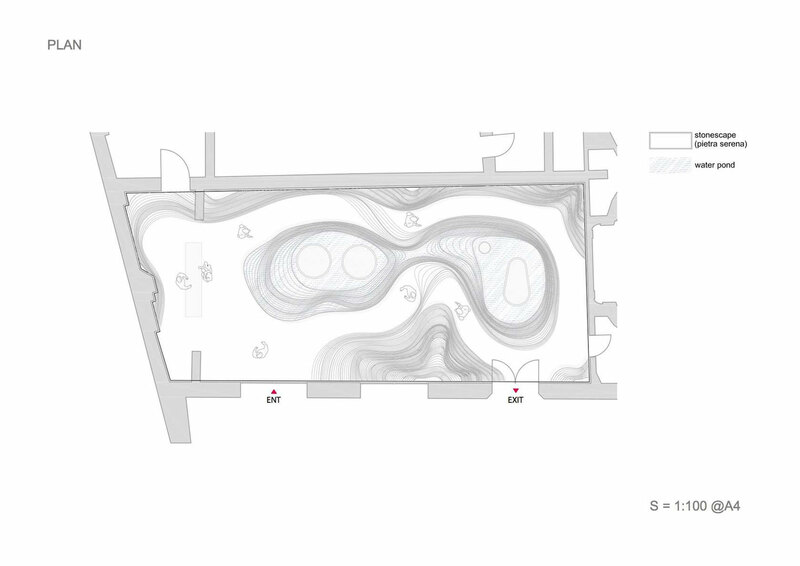 Would like a closer look at the tubs/vats used in the hospital based installation. Are they used a fountains? 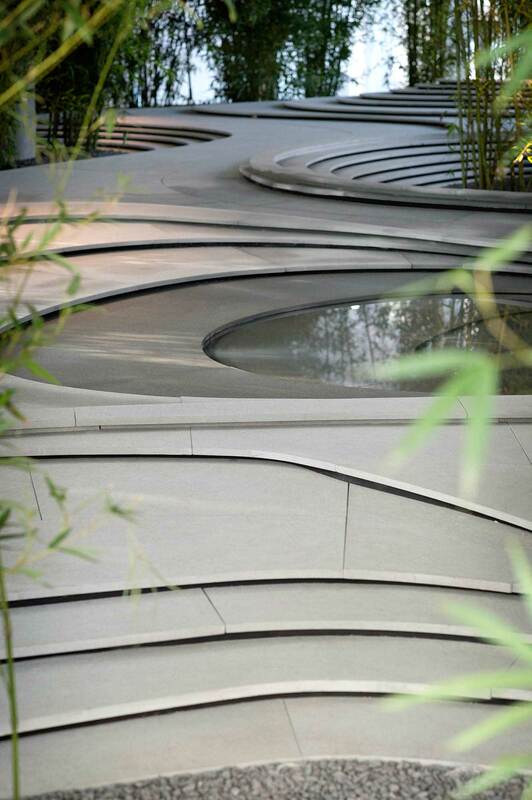 A slight rippling of water in an enclosed space would mimic the ‘steps’ of stone used throughout the piece.